My mom called yesterday and said “Have you turned it in yet?” – I responded with a big “YES! It’s done.” And we both rejoiced. I have been heads down for the last year working on something very important. I’m so thrilled to announce that I just turned in the manuscript for my next book!!! 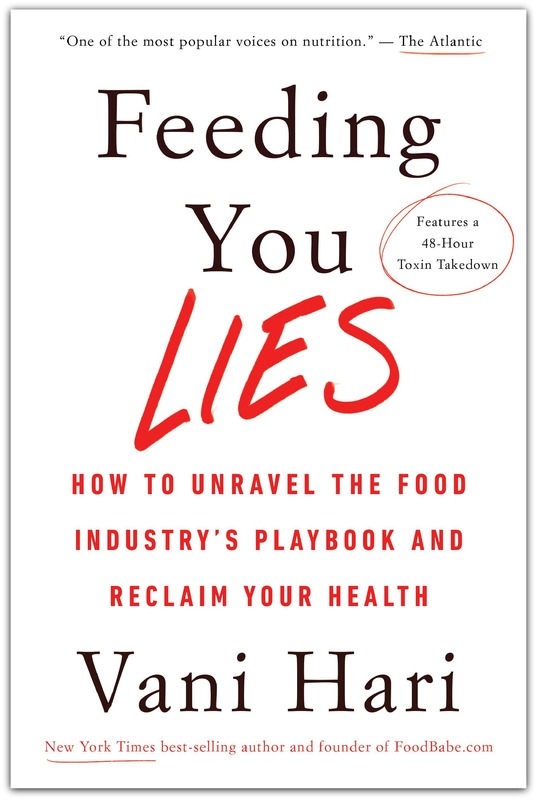 My new book, Feeding You Lies: How to Unravel the Food Industry’s Playbook and Reclaim Your Health, will officially hit stores in February 2019. When you pre-order, the book will be shipped to you to arrive on the release date – so you’ll be one of the first people to get it and won’t even need to make a trip to the store. Your early support means a lot – it will send a message to bookstores everywhere to carry this important book. We’ve got to get this out there so we can expose the food industry lies once and for all. If the food industry felt threatened by my first book, they aren’t going to know what hit ‘em when Feeding You Lies hits stores. This book will change you forever. It did that for me, I’ll never look at food the same way again. P.S. If you know anyone who needs to read Feeding You Lies (I’m sure you do! ), please share this post with them.